The 2019 Consumer Electronics Show (CES) showcased thousands of new tech devices from A.I. innovations to smart home novelties. Among all the lights and showrooms at CES was the major theme of health and fitness. To go along with the ample amounts of trackers, sensors, and learning devices was something that may have come as a surprise to some, a new way to clean your teeth. The French company FasTeesH created what they call a “Y-Toothbrush” which resembles a mouth guard with bristles. The device vibrates and according to FasTeesH, is supposed to clean your teeth in 10 seconds, cutting down the recommended brushing time by over 90%. The brush, however, is undergoing clinical trials now and has not been reviewed by the America Dental Association. The Y-Brush isn’t the only innovation we’ve seen in recent years in oral care. New companies have brought to market different kinds of electric toothbrushes with a subscription service for new heads, and others have created what are considered “smart toothbrushes” with an app for your phone. But what all of these companies and “pioneers” are forgetting is that brushing teeth (flossing too) is a macro, mechanical approach to an issue that is micro and biological. The true innovation for better oral health has actually been around for awhile but not many people use or even know about it—and this innovation improves oral health effectively by going after the cause of cavities and gum disease on a micro level. What is this magical innovation? A simple system of products that use xylitol. Xylitol is a natural sweetener that tastes and looks just like sugar, but is extremely beneficial to teeth and gums. 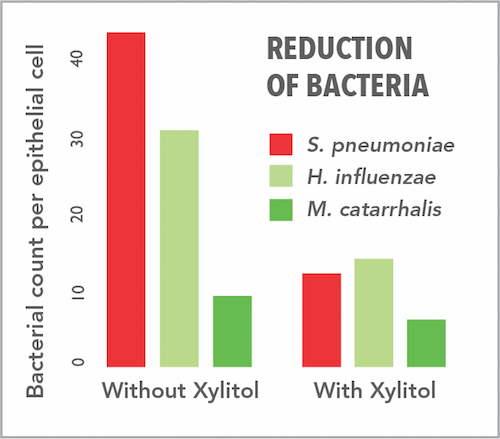 Over the decades that xylitol has been studied researchers have found that xylitol inhibits bacteria from sticking to teeth and gums, and breaks up the bacterial biofilm, the colonies where bacteria thrive. Because of this, the bacteria can’t wreak havoc on teeth, since they can’t adhere to them, and can’t flourish, which means they move out of that environment, the mouth, quickly. Spry Dental Defense is the only system on the market that offers a range of xylitol products that work together to take care of your teeth throughout the entire day. Though people may not understand it, cavities and other oral health issues are a 24/7 problem—bacteria doesn’t stop working in the middle of the day or at night, especially with how our modern diet is. Spry recognizes this and has created a system that matches our modern diet to ensure a truly healthy smile. Spry is widely available in health food stores nationwide. You can also purchase some here.